The San Mauricio Suede Leather Brigandine is inspired by a sculpture of St. Maurice in the Magdeburg Cathedral, dated between 1250 and 1300. Although the legendary martyr was a Theban commander from the 3rd century, he appears with weapons of 13th century in the statue. Over the lorica, he wears one of the first brigandines, clearly represented by the rivets that would hold the inner plates. 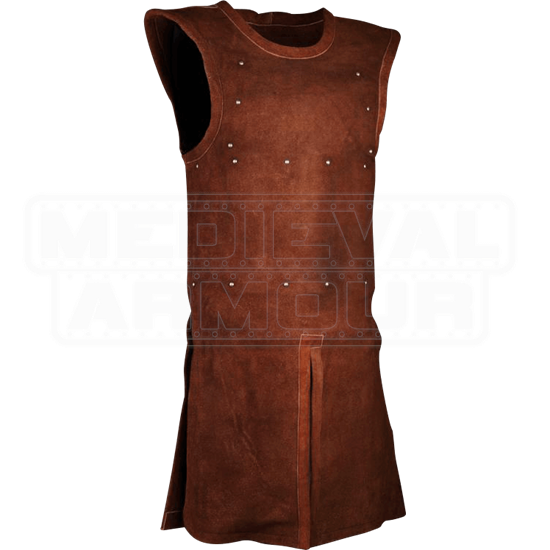 Our recreation of this leather armour combines mobility and extra protection with its overlapping plates on the flexible body. 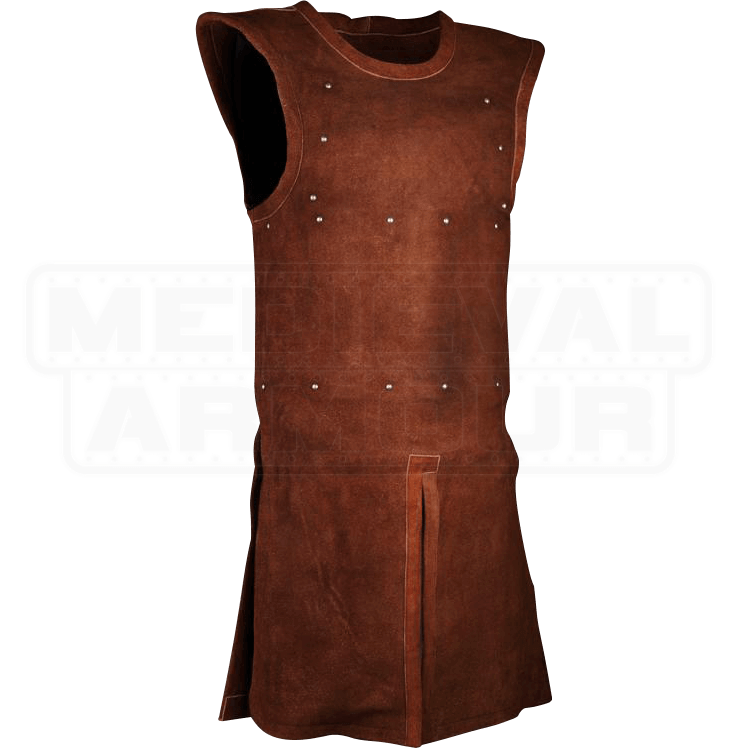 Slits in the front and sides allow free movement of the legs, and a trio of buckles fasten the suede brigandine in the back. This item is made from natural leather. It may have small marks on its surface. Texture may vary from piece to piece. The item is dyed with traditional techniques, so color may vary depending on the original tone of the leather.